No one wakes up one day and decides that he wants to start eating nothing but junk food. The trail to overeating junk food and becoming obese is a long one, but it the trail is easy to follow and it is well marked when you visit the grocery store. It takes time to develop these bag habits, and that means it is going to take time – often much more time and perseverance – to make sure these habits disappear for good. Just as your bad eating habits didn't occur overnight and were probably developed over a lifetime of poor food choices, you can't expect to lose weight and get healthy overnight. Changing is a process that is going to take some time, and it will require mental and physical discipline. Don't worry; it is not as difficult as it sounds. 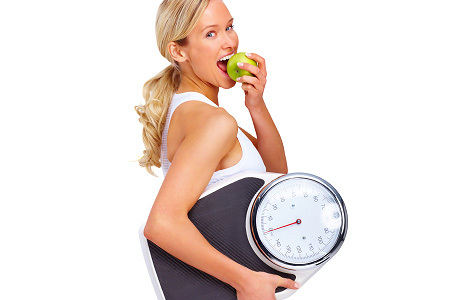 You need to make sure that you are ready to start losing the weight. Those who try to reset their eating habits without truly wanting to lose weight are in for a difficult time. They will be the ones who cheat on their diet and who believe that weight loss isn't going to work for them because they don't see results! As long as you are serious about losing weight and as long as you are ready to do what it takes, you can move on to the next step. What is it that makes you eat when you are not hungry? Do you find that eating makes you feel at peace and comfortable? Some people eat when they feel stressed out or upset and they use the food as a way to feel better. What is it that makes you choose the wrong foods? Simply put, the reason is usually the taste buds. Most people find that the foods that are the worst for you happen to taste the best. They also like the convenience of grabbing a snack, ordering a pizza or microwaving a meal. When you understand all of the things that make you eat and the reasons you eat junk food and you are ready to do something about it, you can start to make the change. The first change has to come from the foods that you have in your house. You need to remove the junk food and replace it with healthy alternatives. Buy vegetables and fruit instead of chips and dip. Purchase ingredients and cook your own meals rather than buying something that you can "nuke" in the microwave. After you have started making the changes in your eating habits, you need to start adding exercise to your day. With exercise, you will feel better and more energetic. It will make weight loss much easier too. When you start to feel stronger and lighter, you are not going to want to eat all of that junk food that just slows you down. This new attitude is going to make it much easier for you to reset your eating habits.